A new law proposed at the legislature would drop requirements for some of the food we eat to go through any type of safety inspections or certification. While supporters tout it as pro-free market, opponents worried it could lead to many Utahns getting sick. The Food Freedom Act, proposed by Rep. Marc Roberts, R-Santaquin, exempts food producers from “state, county, or city licensing, permitting, certification, inspection, packaging, and labeling requirements for the preparation, serving, use, consumption, or storage of food.” It would apply only to food that is sold in-state, must be sold directly from the producer to the end-consumer (not to grocery stores or restaurants). It also would not apply to meat, wild game, or wild fish, but it would apply to poultry like chicken or turkey. The bill was heard Friday, Feb. 5, in the House Natural Resources, Agricultural, and Environment Committee. But despite hosting a press conference on the bill one hour before the committee hearing, Rep. Roberts was conspicuously absent from the hearing itself. Roberts says there are a lot of people in Utah who want access uninspected food, who don’t like or don’t trust government regulations and safety inspections, and prefer to buy food free of those restrictions. “This gets government out of the way for those producers and those consumers,” Roberts said. The proposal has raised red flags, however. Travis Waller, director of the regulatory services division of the Utah Department of Agriculture and Food says existing laws allow Utah producers to sell produce (fruits and vegetables) without any restrictions, as long as they are not preparing or cooking the produce in any way. But things get very dangerous when you start talking about poultry or dairy. 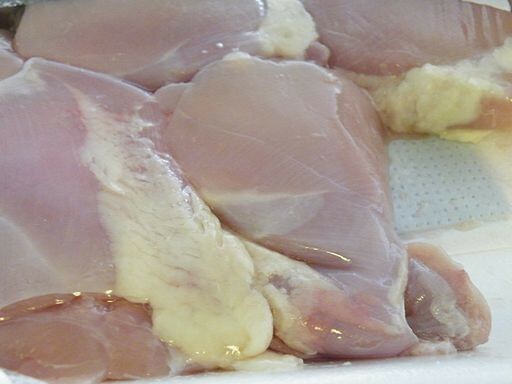 Waller adds there is much higher risks of food-borne illnesses with things like chicken and dairy, and pointed to recent Utah outbreaks, like in 2014 when 45 people were infected with campylobacter after a Weber County dairy failed to follow regulator’s sanitation protocols. He also pointed to a 2007 outbreak in Utah County when another dairy farmer’s milk was contaminated, and another instance when a Community Supported Agriculture (CSA) farm caused an outbreak of salmonella when they delivered untested food to the public. LuAnn Adams, commissioner of the Department of Agriculture and Food adds that existing food inspections and regulations are very minimal already, and include things like making sure pets are not in the kitchen when food is prepared, and correctly labeling what is in food. The Utah Department of Health, whose representatives also spoke against the bill at the hearing, has repeatedly warned against consumption of products like raw milk, because without pasteurization the bacteria common to milk can still be alive when you drink it. Health department officials say food-borne illnesses can be especially serious for young children, pregnant women, the elderly, or anyone else with a weakened immune system. Roberts disagrees, and notes that his bill has the backing of Red Acre CSA farm in Cedar City, McDowell Family Farms, some smaller local producers, and the conservative Libertas Institute. Waller agrees that the majority of food producers would do their best to make sure their customers never get sick. However, he says, it’s not just about the consumers who choose to take the risk and purchase uninspected foods, because many food-borne Illnesses are communicable and a family who gets sick could spread infections to others who did not eat the uninspected food. "We're talking about potentially bringing back diseases that we've had very nearly eradicated for 100 years. It just doesn't make sense." Carl Ingwell, the head of Clean Air Now, disagrees and says he supports the bill because “this is the trend in food today, people want to have their food go through as few steps as possible between the producer and their table.” While Ingwell acknowledges the difference between heavily-processed foods and safety inspections, he likens Roberts' bill to it to the national trend away from those processed foods from multinational food corporations. "Anything we can do to get people closer to the producers, the better," says Ingwell. "I think this could help push more people to buy locally." Nick Como of The Downtown Alliance, which runs the state’s largest farmers market, says the bill won’t impact them either way, because they already have internal rules that forbid food products like poultry and dairy which haven’t been inspected to make sure it’s safe. So even if HB 144 were to become law, uninspected poultry and dairy won’t be turning up at the Downtown Farmers Market, although they would appear at other farmers markets that don't have those internal rules, along with roadside stands, and direct sales from farms. Without Rep. Roberts present, the committee declined to take official action on the bill. Additionally, several members of the committee speculated that Rep. Roberts was playing "political games" with the committee, and pledged that they would not vote in favor of the bill this year, but would demand that it be brought back next year if Rep. Roberts wants to move forward. Roberts did not respond to press requests after the hearing.